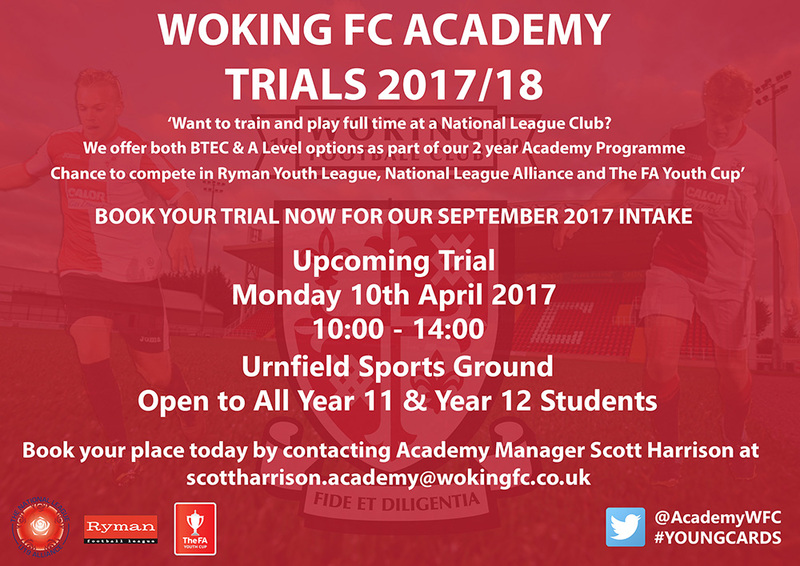 Woking Football Club’s Academy is holding trials for their September 2017 intake next month. They offer both BTEC & A Level options as part of a 2 year Academy Programme, with a chance to compete in the Ryman Youth League, National League Alliance, and The FA Youth Cup. The trial takes place on Monday 10th April 2017, 10am - 2pm, at the Urnfield Sports Ground. It is open to all Year 11 & 12 students.